Several hours after I posted yesterday’s entry, Mr. Karen and I finished loading up our vehicles and headed west. Our house is not yet sold, but it’s being taken care of by people we trust, so we’re going to Idaho for the winter to ski. 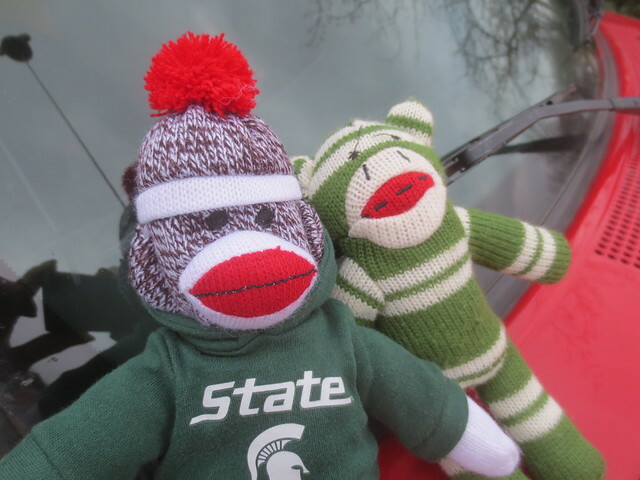 Consistent with our theme of downsizing, I only have two sock monkeys with me: original sock monkey and Sparty Monkey. We got a late start, so rather than stopping to eat, we ate a very late lunch out of the cooler while standing in a gas station parking lot in western Michigan and dinner was take out from Malnati’s sitting in my car, the passenger seat of which I had to clear out so Mr. K could fit. We made it into Wisconsin last night, somehow not getting to bed until 2 a.m., which meant we got off to a late start today, but not as late as yesterday. 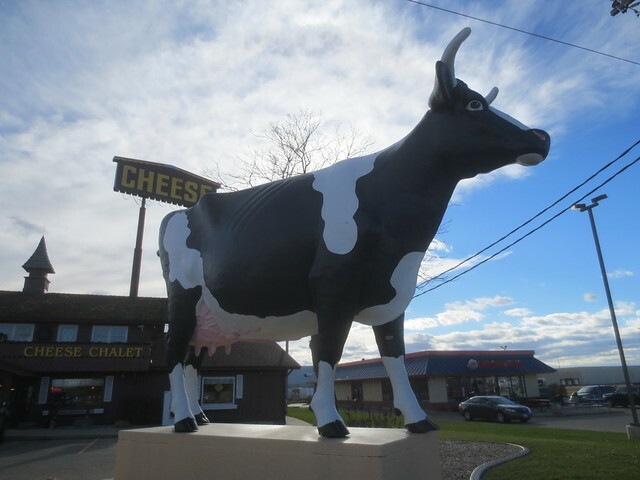 Despite having a very long drive ahead of us, we took the time to enjoy pie at the Norske Nook (best pie in Wisconsin according to Yahoo Travel) and of course stop at a cheese shop. 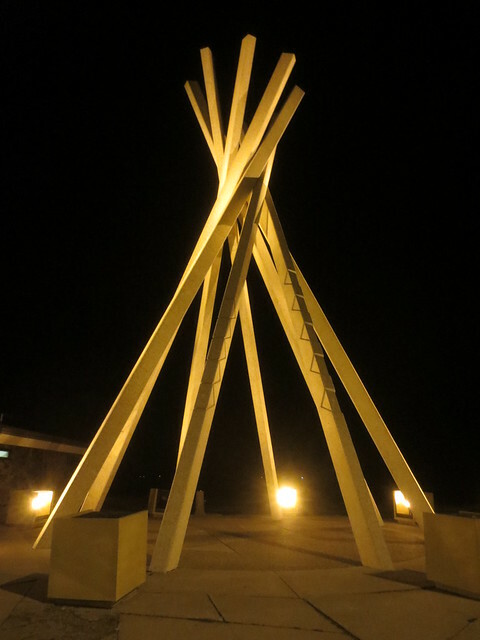 Then we drove and drove and ended up in South Dakota, where according to the sign in the rest area which features this cement teepee, there is no tourism this time of year. Yet here we are. I’m glad you stopped for cheese!